Halloween on Main Street isn’t scary — it’s family-friendly. 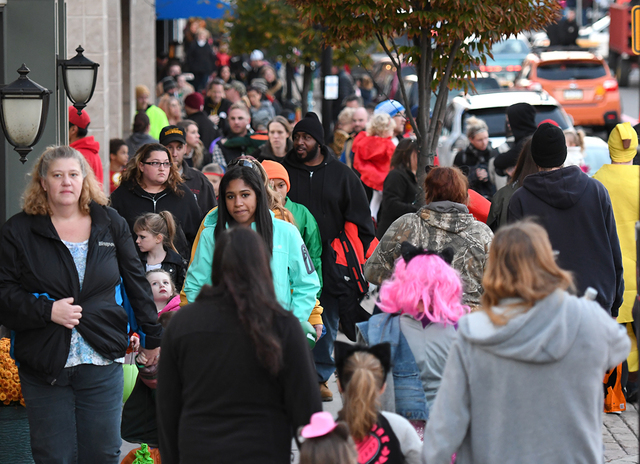 Pittston’s annual Halloween celebration “Trick or Treat Main Street” is a great night in downtown Pittston. Highlights include: tractor rides, DJ music, bounce house, balloon artist TJ Belt, games, parade, costume contest, children’s book reading, Brace’s Orchard, Zombie dance party, face painting, and lots of downtown businesses welcoming children in for a treat! A costume parade is held around the streets of downtown for area children wishing to dress up.